It's hard to deny the Channing, refined, poetic and a real statement. 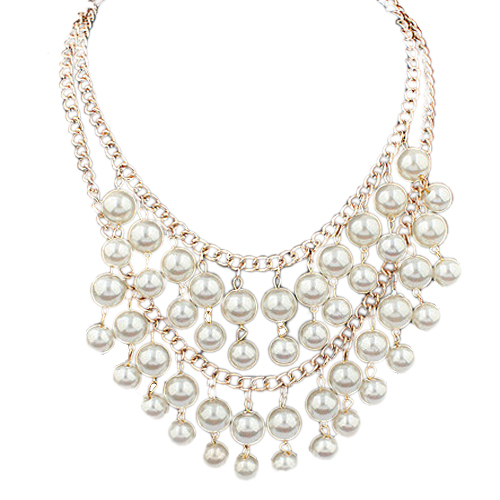 Showcasing a double-layer gold-plated chain waterfalling with strands of white faux pearls. Wear it with your chin high and something low-cut.